In addition to our Choice Network Only plan and our Choice Plus plan with an in and out-of-network benefit, we will be offering a Choice Plus with HSA to our staff next year. All the plans will be with UnitedHealthcare and they will all use the same network of providers. The Choice Plus with HSA is a consumer driven health plan (aka CDHP) with a higher deductible than what we are used to -- $2,000 for an individual and $4,000 for a family. Participants will set up and use an HSA account to cover this deductible and other health care expenses. To help staff get their HSAs started, ASHA will fund half of the deductible the first of the year -- $1,000 for individuals and $2,000 for families. One of the risks you assume when you first start an HSA is that you'll incur the expense before you've built up an account balance. For example, you have to have your appendix out on January 5 and receive a bill for your deductible. ASHA will help you minimize this risk by depositing half your deductible in your account at the beginning of the year. Why should you consider selecting this new plan? It's simple. You're essentially paying yourself instead of the insurance company. The monthly premium for the Choice Plus HSA is so much less than our Choice and Choice Plus plans that you can use the savings each month to fund part if not all of the deductible. Over time, you can build up a healthy balance in your account. 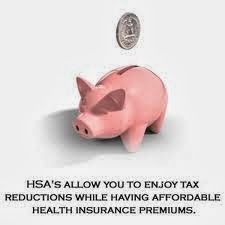 Some people use an HSA as an additional retirement savings vehicle because of the favorable tax status. There are lots of other factors for you to consider and we'll delve into all of them over the course of the next few weeks. We will be offering many educational opportunities during open enrollment to help you make a fully informed decision. You are welcome to invite your family members to the face-to-face sessions we have planned. Start learning more now by watching the short video below and reading this article from Forbes -- How to Get the Most Out of Your Health Savings Account. You can also read this post where I shared how my sister chose between a traditional PPO and a HSA earlier this year. And, of course, stay tuned here for more info.